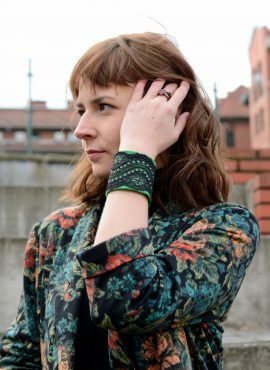 Felt bangles made in ethnic or tribal style of natural merino wool fibers. Perfect for women, who love African influence in fashion. Felt bangle bracelet made to order in your colors and size. It is perfect for women who love customization, with plenty of options to choose from. 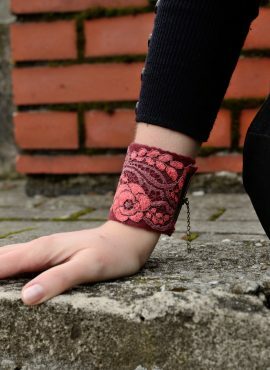 This cut out cuff is friendly to the skin and has a unique design. You can choose your size and your colors to reflect your style. 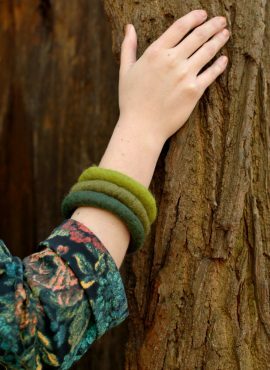 This felted bead bracelet is fully organic and eco friendly. You can wear it every day without the risk of any allergies or skin irritations. Victorian cuff in gray & black. It is wide, chic and elegant, perfect for evenings. Designed for women who love unique and quality jewelry. 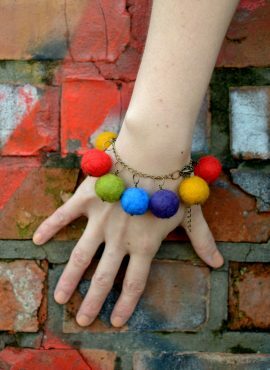 This felt ball bracelet is made of colorful beads that bounce and swing with every gesture, attracting attention to all you do. 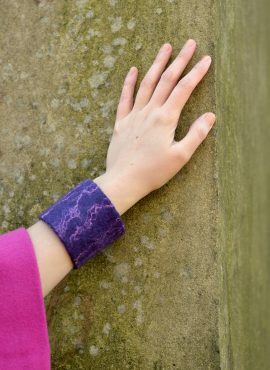 Black lace cuff with elegant & gothic design made for women and teens. It is nice in touch and breathable thanks to combination of natural merino and lace. Red rose bracelet with wide cuff design and romantic pink lace. Perfect for casual use and for evening or date! Five sizes available. 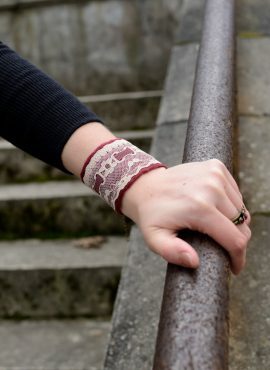 Retro felt bracelet decorated with stylish cream lace. It is perfect both for casual and evening use. Five different sizes available. 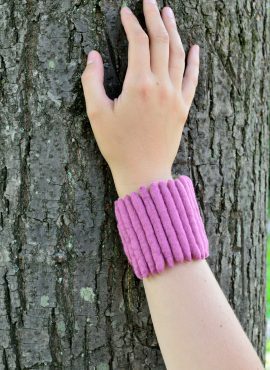 This felted ball bracelet has two colors and is eco-friendly. As it is fully adjustable, it will be perfect for every woman and girl. 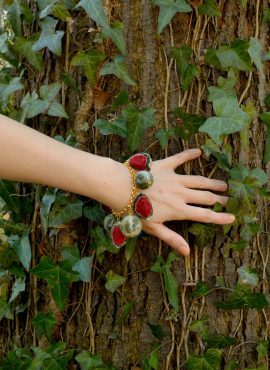 Watermelon bracelet with rolo chain felted in kawaii style. With its fruity juiciness it would be a perfect gift for women or teens. This ladder bracelet is made of long felted beads. You can choose its color by yourself and adjust it to your own personality! 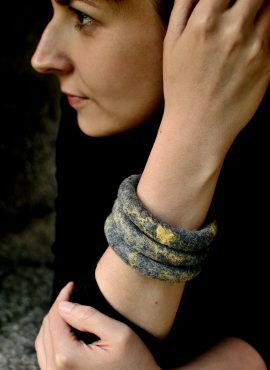 Felted cuff bracelet made of wool and silk fibers in colors you choose. It is nice in touch and ascetic, perfect for women who love simple jewelry. 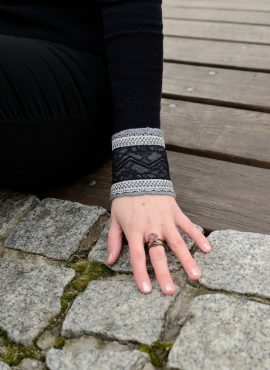 Unique ladder bracelet with ethnic design. 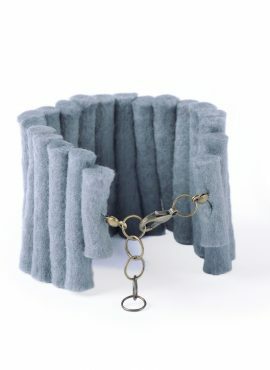 You can choose your own color and size, adjusting this felted cuff to your style and personality.